Cepelova leads the head to head 2-0 one on the hard court and once on clay. Sasnovich has been playing well this season and her record on hard courts is 11-8 compared to Cepelova who is 9-9 and certainly favours the clay surface. 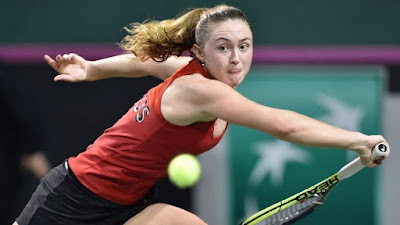 Sasnovich has a lot of variation to her game and is a real confidence player and she has the sort of game that can be imposed on Cepelova who struggles with confidence during a match if things start going against her sometimes. Yankee with Paddy Power not a bet I normally take but I have been through the games and think they are all very strong favourites and offer a bit of value combined.